OLD PARKED CARS. : 1979 Buick Riviera Turbo Coupe. 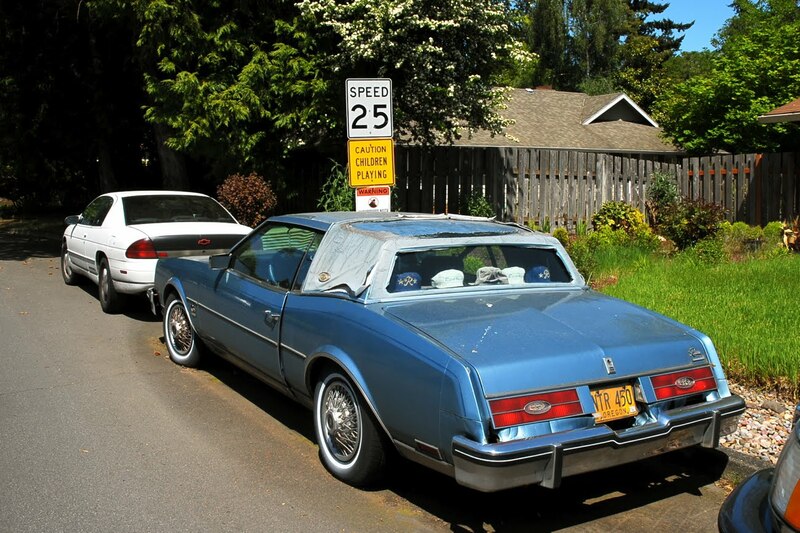 1979 Buick Riviera Turbo Coupe. It really doesn't feel right that I only have 4 tags for this post. Those horrid wire hubcaps, the vinyl roof, the fact it's a turbo(! )complete with turbocharged badge in the most late 70's-early 80's font ever.....love it. This brings back memories of the gold Riviera my grandparents had when I grew up and spent alot of time with them in the 90's while my parents worked. Would've loved to have it but they sold it soon after the millenium came. What a shame since it was so clean. I believe this is either an '84 or '85 Riviera. The 1979 models did not come with the aerodynamic mirrors. They were added in '80. The tailight lenses with the center horizontal line were added in '84. Riding a bit low in the stern. Who does he have in the trunk? That turbo 6 had more 35 more horsepower-185-than the 307 cu. in. V8--140. 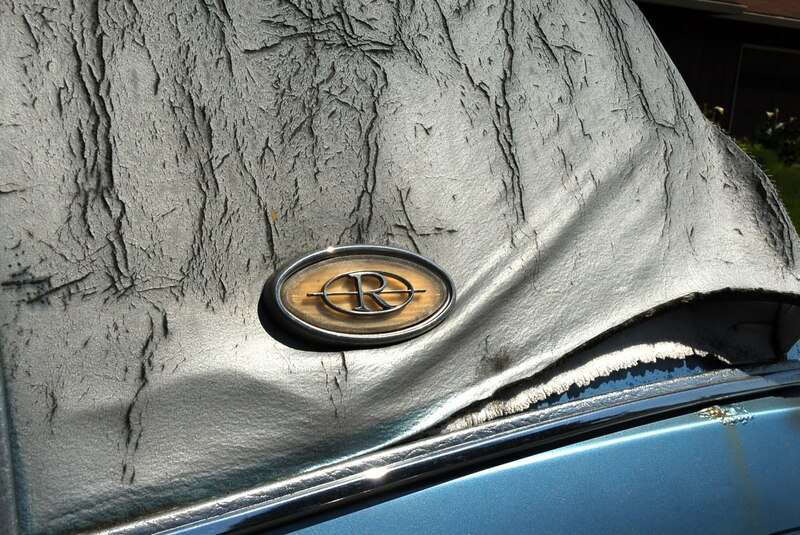 On the other side of the Riviera power spectrum was the diesel--105 horsepower was all you would get. I've never seen a turbo one; I didn't even know they existed! 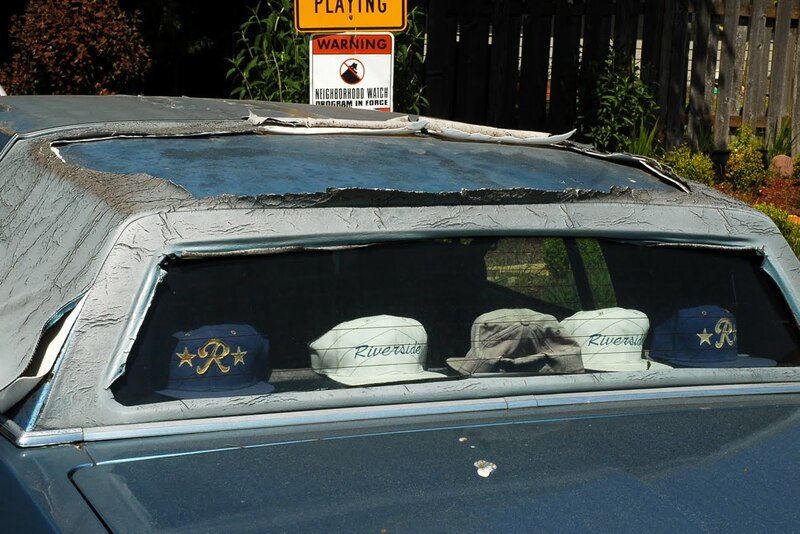 The shot with the ever-shrinking vinyl roof along with the ball-caps in the back window is genius. Is someone going to change the date associated with the car pictured? I know this is an old post, but I've just discovered this site so it's new to me. Great pics, great car... everything on here is excellent. Makes me wanna move to Portlandia soooo bad. The Professor - Even if GM wasn't building the best quality stuff at the time, they sure did have a lot of interesting engine choices available. 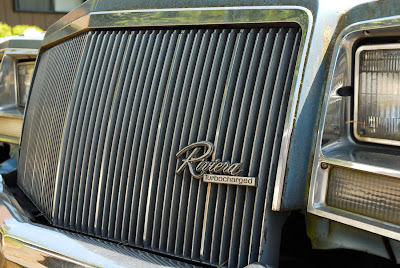 Most people don't know it, but this generation Riviera was available with the 3.8l Turbo V6 for it's entire run ('79-'85). 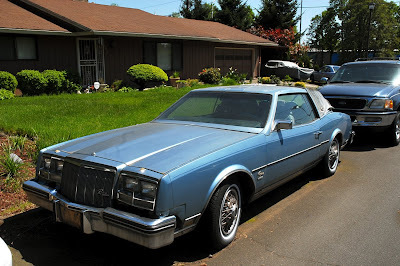 It was optional in the Buick Century, Regal and LeSabre as well - plus the Chevrolet Monte Carlo in '80-'81. The later years were fuel injected, but these ones used an incredibly complicated draw-thru turbo/4bbl feedback carb arrangement that delivered great peak power (for the time) and atrocious turbo lag. Really weird car this is. Carb Turbo V6 mounted longitudinally in a front-wheel-drive chassis with body-on-frame construction and an independent suspension front and rear. It's extremely rare to find a Riviera from any year with the turbo. They were seldom ordered and they were a nightmare for mechanics to figure out. 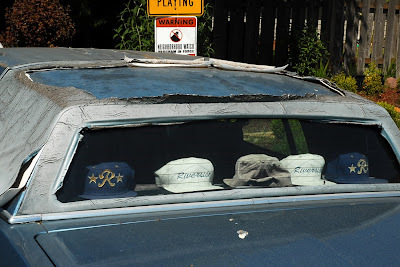 Usually if you ever see them nowadays, it's a later, decked out convertible somebody had in storage for 20 years. The turbo coupes are near extinction at this point and were only built at a rate of ~2,000 a year. 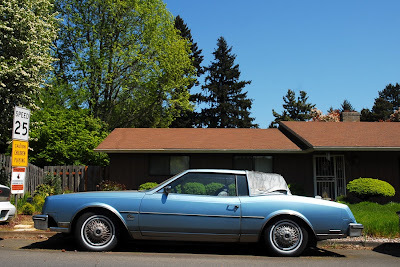 I think this might be an '82 or '83 because the earlier ones were called "S-Type" with very prominent badging, and the fuel-injected ('84-'85) Riv's were "T-Type(s)" (mostly, at least... it was optional for the base trim level) which had a monochromatic look with painted bumpers.